1518: The proceedings here at Chipadze Stadium have come to an end and that concludes our updates. Thank you for joining us. 1512: Cde Perrance Shiri is now giving the Vote of Thanks. He says Mashonaland Central is well known as a rich agriculture area as well as being a strong support base for Zanu-PF. 1506: “Victory is certain comrades…right now we are about to reap what we sowed on July 30. Pamberi neZanu-PF! Pamberi nekuVhota! 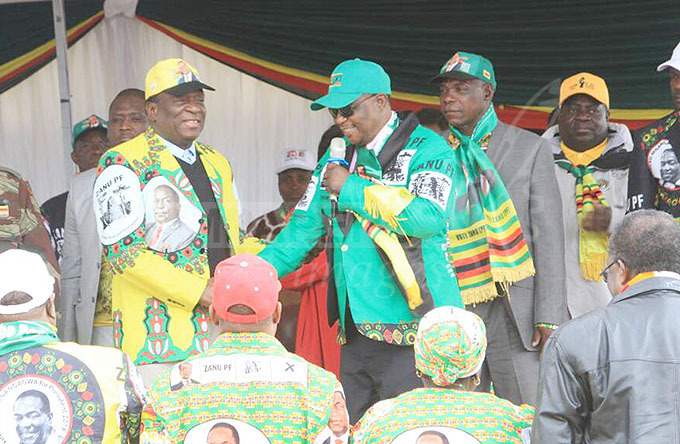 Pamberi nekubatana!….Mashonaland Central, tsime reZanu-PF, musvo we Zanu-PF zvichemo zvenyu ndomutoro watinotakura, Ndatenda,” says President Mnangagwa as he leaves the podium. 1441: President Mnangagwa said agriculture is the backbone of the economy and the Command Agriculture model is meant to ensure food security. 1429: He says Government will continue looking after chiefs despite criticism from opposition political parties and will avail vehicles to remaining traditional leaders during the first weeks of next month. 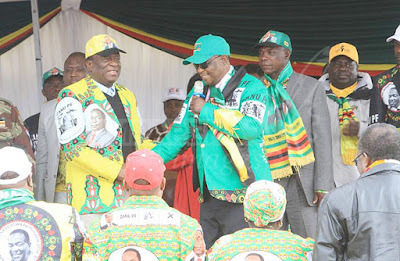 1417: President Mnangagwa reiterates the need for peace and unity in building the country. 1413: He says the liberation struggle began in Mashonaland central province hence the ideals of the struggle should be safeguarded. 1409: He says the party doesn’t want the imposition of candidates. The President wants leaders that come from the people because the power of the party is vested in the people. He acknowledges the work done by the province in getting party supporters to come out in their numbers.